I thought I should post this before Christmas was over. Hope everyones Christmas was filled with love and laughter! 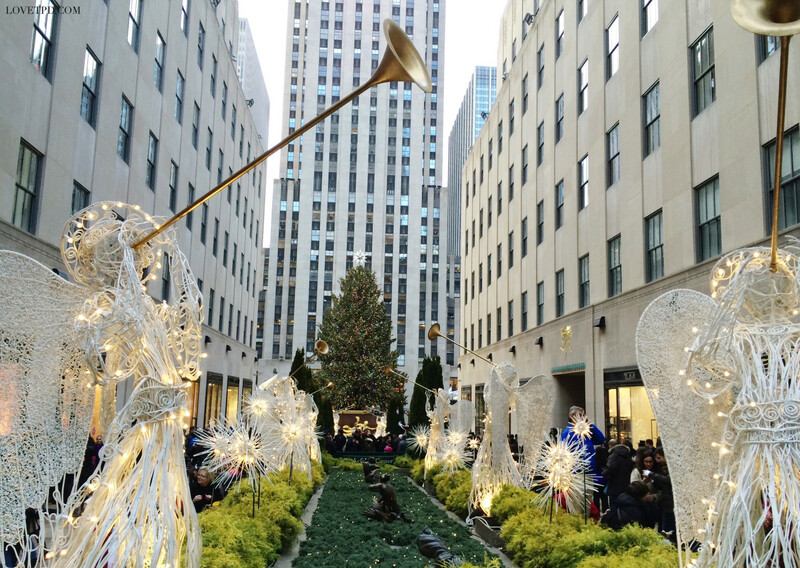 I spent the past two weeks in New York and stopped by a couple of my favorite spots to get me in the Christmas spirit, namely Rockefeller and Bryant Park. The past week has been eventful going to Christmas parties and celebrating birthdays, Happy Birthday Mike! I'm so grateful for the amazing people in my life and the countless memories made. I've been blessed this past year and can't wait to see what 2015 has in store! I absolutely love these images, Sharon! It's definitely making me miss New York right about now. Laduree is obviously a must--I love their new pineapple cases that they came up with! Also, love all these christmasy pictures! I hope your 2015 is filled with love, happiness, and success! Can't wait to see what's in store for you! I'm a new reader of your blog and I just have to say that I'm completely in LOVE with it! I came here through your Instagram account and I'm so glad I discovered your work. Your pictures are amazing and just looking at them makes me smile, makes me feel happy, relaxed, it's a warm & fuzzy feeling (even if it might sound weird). Please keep doing what you're doing because you're doing a great job. Thank you for the sweet comments :) Glad that my pictures can bring you happiness and hope that 2015 will be an amazing year! Thank you Kelly! You have a lovely blog :) Keep it up! HAHA what can I say I love to eat :) Hope you had an amazing Christmas and New Years!